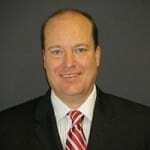 Mark is responsible for the report development and presentation of BAI's benchmarking programs. Prior to joining BAI, he held consulting and sales positions with Open Solutions, Deluxe Corporation and various Chicago area banks and brings over 20 years of experience to the organization. Mark received an MBA from DePaul University in Chicago and a bachelor of science in Finance from Southern Illinois University.